Capital Business Solutions provides nonprofit, government, and educational organizations with a full suite of services to support their fundraising and accounting software needs. Capital Business Solutions has helped nonprofit organizations upgrade their accounting systems and processes for over 18 years. Our consultants are not only software experts, they are industry experts as well. It is critical for your organization to have the key areas of your software system tailored to meet your business objectives and for your organization to realize the expected returns on it’s software investment. Our approach to training and consulting is unique, assigning a single consultant to your organization throughout your training and consulting process. Whether you need basic or advanced training, a new implementation or reimplementation, system review or a system upgrade, your consultant will provide consistency and stability throughout the transition. Development services include custom report writing, interface and plug-ins for Blackbaud’s The Financial Edge®, The Raiser’s Edge® and The Education Edge®, plus Abila MIP Fund Accounting™. Our nonprofit financial software products boast robust reporting tools designed to alleviate complex accounting headaches. Even so, your organization may occasionally require a custom report that is not standard “out-of-the-box” reporting. Capital Business Solutions offers its clients the opportunity to purchase an annual plan that provides additional benefits and support of their software systems. Plans are available for Abila MIP/MIP Advance, Financial Edge/Financial Edge NXT, and Raiser’s Edge/Raiser’s Edge NXT. 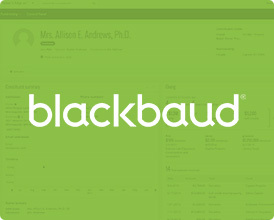 Blackbaud’s Financial Edge NXT™ is the most comprehensive, purpose-built accounting solution for nonprofits. Taking your accounting to the cloud with Financial Edge NXT™ not only reduces your IT and third-party costs, but it also ensures that you always have the latest, most advanced fund accounting technology and tools to help your team streamline accounting tasks and system workflows. 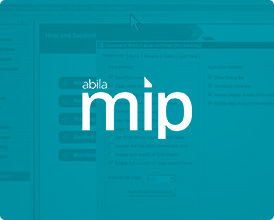 Abila MIP Fund Accounting™ software addresses the specific nonprofit financial management needs of organizations that need to track and report on multiple funds across multiple budget periods to meet their reporting requirements and demonstrate accountability. 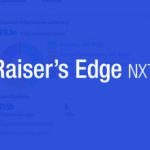 Our Raiser’s Edge/Raiser’s Edge NXT training and consulting is unique, assigning a single Raiser’s Edge/NXT consultant to your organization throughout your training and/or consulting process. Our training consultants have extensive experience delivering basic to advanced database training tailored to your organization’s needs. 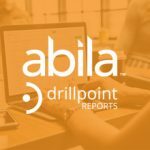 DrillPoint Reports allows you to easily access your financial data within Microsoft Excel® and create presentation-quality financial statements using a familiar, user-friendly spreadsheet application. Creating any number of pre-formatted financial statement templates, DrillPoint Reports enables you to produce custom, high-quality financial statements for delivery to your board and external advisors. 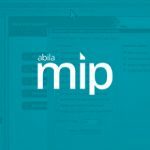 Abila MIP Advance™ combines the time-tested Abila MIP™ platform with a fully integrated cloud suite, enabling nonprofit organizations and municipalities to manage their financial growth easily and confidently, anytime and anywhere. Whether you need basic or advanced Education Edge training, a new implementation or reimplementation, system review or a system upgrade, your consultant will provide consistency and stability throughout the transition. Accountability: Our willingness to get the job done right. Reputation: As a recognized, multiple award winning, leader in our industry. Industry Expertise: Our more than 50 years of combined industry specific experience. with greater vendor support leverage. Single point of service: Our approach eases your transition into new technology, providing you with a single point of contact throughout and beyond your engagement. Our expertise and personalized service affords our clients the consistency necessary to achieve peace of mind while enjoying a smooth flowing process which secures the desired end result. Commitment to Excellence: Our outstanding customer satisfaction rating. Security: Our 19 year proven implementation methodology. compared to vendor specific programs. desired outcome. We care, it’s just that simple. We offer everything your organization needs to streamline your accounting processes so you can focus on your mission. Whether you need new software sales, setup, migration, implementation, training and consulting, advanced customization and plugin development, ongoing support, or all of the above, Capital Business Solutions will help you achieve your goals. 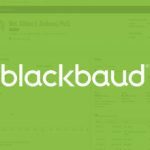 Blackbaud’s 2017 Channel Partner of the Year.